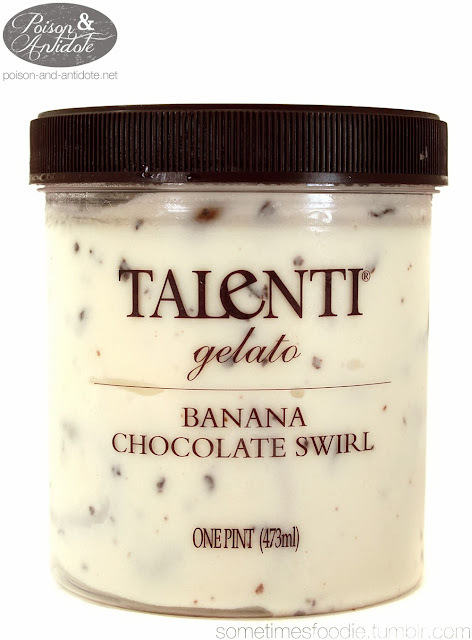 Here is the other flavor of Talenti Gelato I picked up at Target. This gelato brand has been featured on food blogs, youtube, and tumblr. Since the reviews have all been favorable, I grabbed 2 flavors to try. 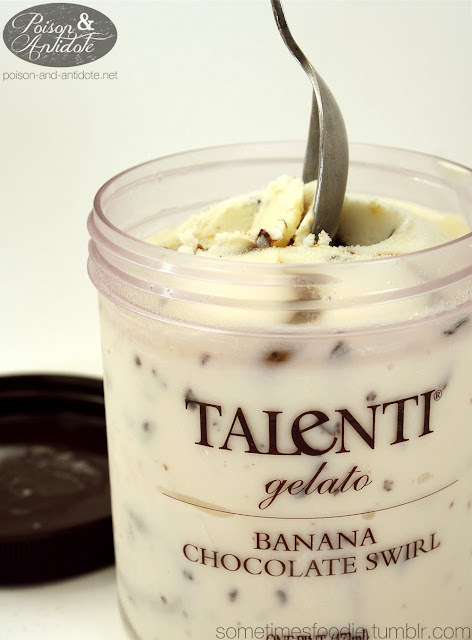 The plastic containers for this brand are all the same, so check out my last Talenti post for a packaging review. Unlike the mint, this actually has a complex and unique flavor that I haven’t tasted in other similarly flavored ice creams. 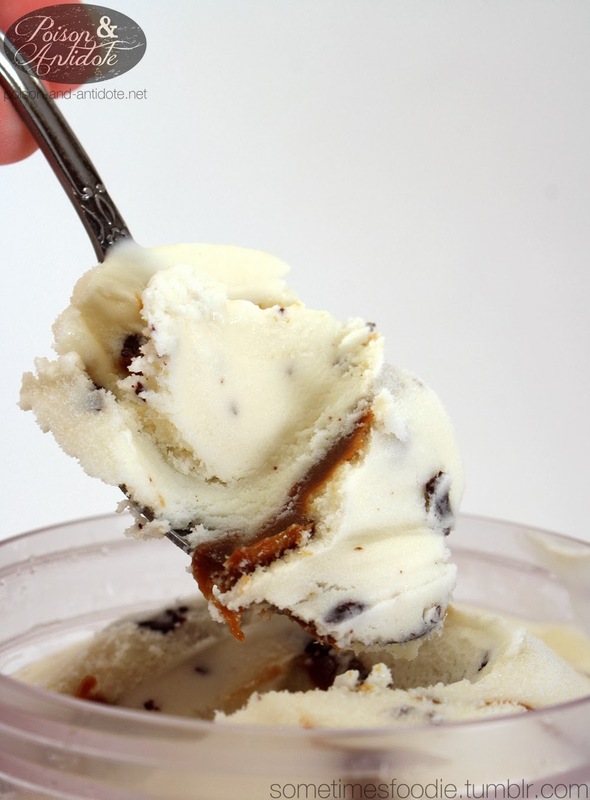 The caramel-like swirls you can see in the photos above are actually banana! I’ve had a lot of banana ice cream, and I don’t think I have ever seen actual swirls of fruit in any of them. The fruity-swirls are little tart, similar to unripe fruit, but the sweetness of the chocolate and the ice cream balance it out very nicely.